Beginning with a few spots along the waterway, there is The Fish House Grill, the Bridge Tender, and Dockside. All three of these restaurants are on Airlie Road and across the ICW from Wrightsville Beach. Each one boasts its own delicious seafood specialties and runs the gamut from casual to upscale. All three are open for lunch and dinner and you can check menus, hours, cocktail or dining specials and live music schedule on their websites linked above. Across the drawbridge, and back towards the ICW, is one of the island's largest restaurants. As the 2013 Encore Magazine winner for "Best Outdoor Dining", the Blue Water Grill has a reputation as a lively place for lunch, dinner, cocktails, and live music. Two stories and ample outdoor seating offers guests sweeping views up and down the waterway. Two Wrightsville Beach hotels where dining outside is an option are the Blockade Runner and the Holiday Inn Sunspree. Please note that only registered guests may use the pool. However, diners are always welcome at the Holiday Inn's Lazy Daze and the Blockade Runner's open air poolside restaurant. The Blockade Runner is at 275 Waynick Bvd and the Sunspree is at 1706 N. Lumina. 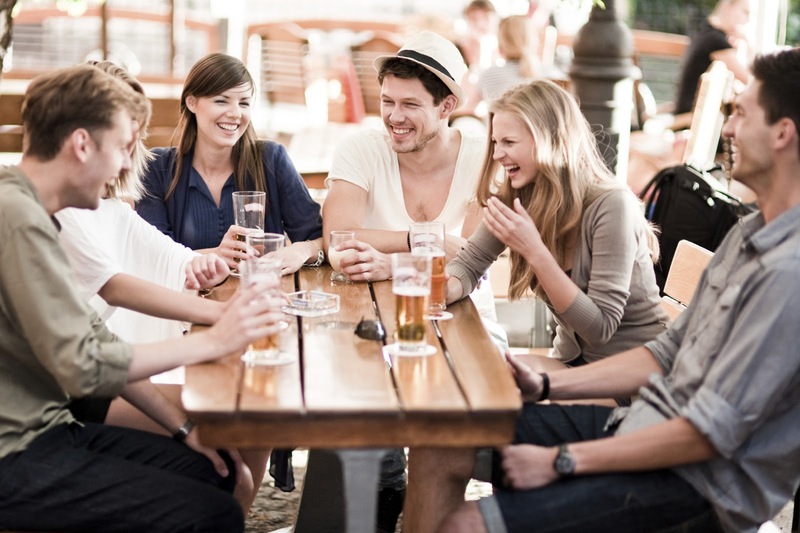 Both offer a variety of salads, wraps, grilled items and full bar. The Oceanic Restaurant is hands down one of the island's best places to enjoy true, oceanfront dining. Situated at the south end of Wrightsville Beach, the Oceanic is undergoing a comprehensive facelift and addition. Don't worry! They are still open and happily serving lunch and dinner. There is often live music on Fridays and Saturdays during the summer. Please note that during the busy weeks of summer, calling ahead and making a reservation, especially for dinner, is recommended. 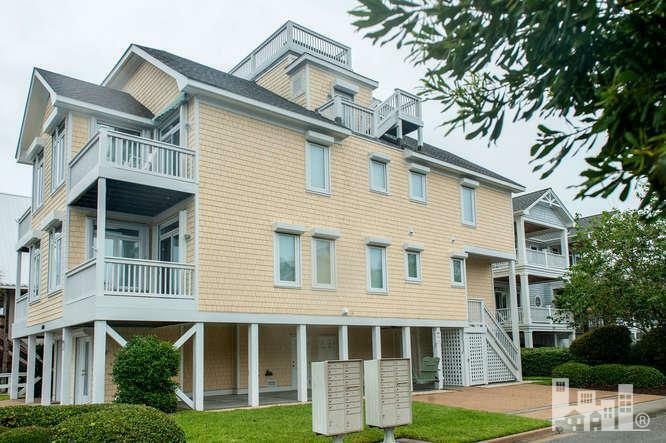 A beautiful soundfront condo is for sale in Wrightsville Beach with a 20' boat slip. Hardee Hunt and Williams real estate company is listing Unit A (MLS# 494049) of this side-by-side condo with water access, elevator, and covered parking in a low traffic area at 1600 North Lumina Ave. Call today to schedule a tour: 910-256-6998. Wrightsville Beach, N.C., August 2013 -- Unit A at 1600 North Lumina Avenue in Wrightsville Beach (MLS# 494049) is a side-by-side, four bedroom condo for sale by Hardee Hunt and Williams real estate company. This soundfront property includes a 20' boat slip in the no-wake zone of Banks Channel in the Intracoastal Waterway. The condo is located at the corner of Lumina Avenue and Crane Street in Wrightsville Beach with ocean access just a short walk from the condo. This area of Crane Street offers no public parking so traffic is light and beach access is easy. Condo owners will enjoy a well maintained and beautifully landscaped waterfront lawn with a sheltered gazebo. There is plenty of storage on the property for beach, boating, and fishing equipment. The property is ideal for all season water activities as well as outdoor living. The lower level of the raised condo is an ideal entertaining area for family and friends' gatherings, oyster roasts, and cookouts. The four bedroom, four and a half bath condo is situated on multiple levels with an elevator for ultimate convenience. The interior has two soundfront living areas, each with a waterfront deck, offering spectacular views. Other interior features include a fireplace, built-in shelving, a wet bar, and a rooftop deck. 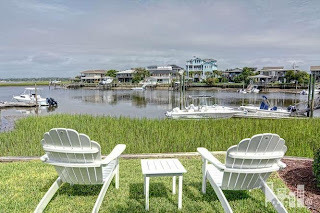 Hardee Hunt and Williams has been specializing in Wrightsville Beach real estate for years and their agents know every inch of the island community. Consider this team your experts in Wrightsville Beach. 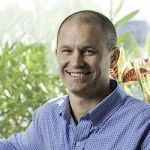 They have the knowledge, connections, and real estate experience needed to match sellers with the right buyers and to help buyers find the beach property ideal for them. To learn more about the Wrightsville Beach condo for sale at 1600 North Lumina Avenue, Unit A, please visit http://www.1600nluminaavenue.com or call the agents at Hardee Hunt and Williams at 910-256-6998 to schedule a guided tour. Wrightsville Beach Hot Spots for Cold Treats! 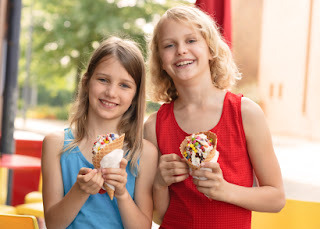 Ice cream and its frozen relatives (frozen yogurt, smoothies, shave ice) are synonymous with summer along with trips to the beach, grilling out, and taking in a gorgeous sunset. On the island of Wrightsville Beach there are plenty of places where you can indulge in your favorite flavor - or perhaps discover a new one. Probably the most iconic of all the shops providing beach goers with cold, creamy delights is The Original Ice Cream Stand. Located just around the bend where Waynick Blvd. intersects N. Lumina, the stand has served as a "comfort station" along the WB Loop for over 20 years. It is definitely hard to choose between the hand-dipped cones, fresh fruit smoothies, fat free frozen yogurt and frozen candy bars. When you do, make sure to have cash, because that's the only way to pay at this old fashioned favorite. Old fashioned indeed!-The Original Ice Cream Stand has no FB page yet, but the address is 3 N. Lumina and the summer hours are 12-10:30 pm Mon.-Fri. and 12-11 pm Sat. and Sun. Check the weather and pick your day. Pack the car the night before, but don't go overboard. Address your needs and add an indulgence or two, like a gourmet fruit cup, new magazine or cooling citrus spray, but keep it simple. You don't want to start your day in the sun like an overloaded pachyderm! Strategize your parking. It is $2 an hour to park at Wrightsville Beach between 9am and 6pm. You can use a ticket from one of the machines at the metered spaces anywhere on the island. You can also use the Park-By-Phone system or bring a roll of quarters. Considering the natural beauty and all of the possibilities, even at $2 an hour, Wrightsville Beach is still an entertainment bargain! Plan your beach activities- or play it by ear. Once you've parked, unloaded, and set up your spot on the beach, now the choice is up to you. What will it be?-People watching, swimming, strolling, shelling, napping, or finally getting into that summer read? When was the last time you built a sand castle, lolled around in a tidal pool, or plunked your beach chair right at the edge of the surf? Again, take Nike's advice! Just do it. Getting food near the beach. When hunger pangs hit, if you did not pack a lunch, no worries. Depending on where you are on the beach, there are several options, just an easy walk away. Some of the noteworthy standbys include Johnny Mercer's Pier, Vito's, the Trolley Stop, and of course, Robert's Grocery where you can still get a Saran wrapped pimiento cheese sandwich or some of that famous chicken salad! Both the Holiday Inn Sunspree Resort and the Blockade Runner welcome outside visitors to their poolside grills. Please note, appropriate clothing is a must, such as a cover-up, and only hotel guests may use the pool - but who cares? - the food is great! Swimming (and more sunscreen). If you have the afternoon free, make sure to reapply sunscreen and maybe break out a hat. It may be time for a refreshing swim. Wrightsville Beach is great for swimming and unlike many beaches, during the summer months, it is staffed with a team of vigilant, qualified life guards. Take a stroll along the beach. As your day winds down, walking all the way to the south end can be quite promising. Depending on the conditions, you may see some world-class surfers, SUPers, or kite surfers. Walking to Masonboro Inlet can provide some pretty impressive photo ops thanks to the area's local sailing community. Should you choose to head north, you'll be rewarded with sweeping views of Mason's Inlet and Figure Eight Island. Catch the sunset. 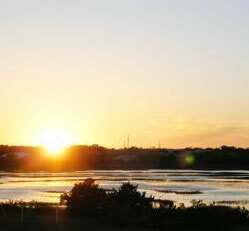 Hopefully, before heading home, you'll have time to take in a magnificent Wrightsville Beach sunset! Shopping. visit the gift shop at Johnny Mercer's pier or Wings for some postcards - won't your friends love hearing about your beach day - finally? Collecting. When you walk, make it your mission to find at least one piece of sea glass or a shark's tooth. Fresh catch. Stop by Mott's Seafood for DIY "fresh catch" dinner ingredients. During the summer they even offer local veggies to accompany your fried flounder, boiled shrimp, or grilled mahi! Enjoy your Day at Wrightsville Beach!